David Ogbonna, an educationist, has appealed to the Academic Staff Union of Universities (ASUU) to suspend its ongoing nationwide strike in the interest of the Nigerian students. David Ogbonna, a Proprietor of a school in Enugu state, made the appeal in an interview with the News Agency of Nigeria (NAN) on Thursday. According to him, ASUU should consider the plight of the Nigerian students whose academic future is hanging in the balance. “Some students have missed their graduation time, while others cannot be mobilized for National Youth Service Corps (NYSC) as a result of the ongoing nationwide strike. I plead with the union leadership and the Federal Government to resolve their disagreements to enable students to return to classes,” he stated. ogbonna added by saying that students who secured admission since last year in different tertiary institutions were yet to resume because of the strike. “If this strike continues till April this year, what it means is that candidtes who will write the 2019 Unified Tertiary Matriculation Examination (UTME), may not be admitted in public universities this year. 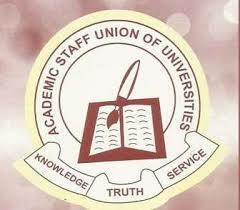 ASUU and FG should expedite action in their negotiations to end the ongoing strike,” he added. He also noted that if the strike continues till the forthcoming Presidential and Governorship elections, many students would be disfranchised because majority of them registered in their schools.